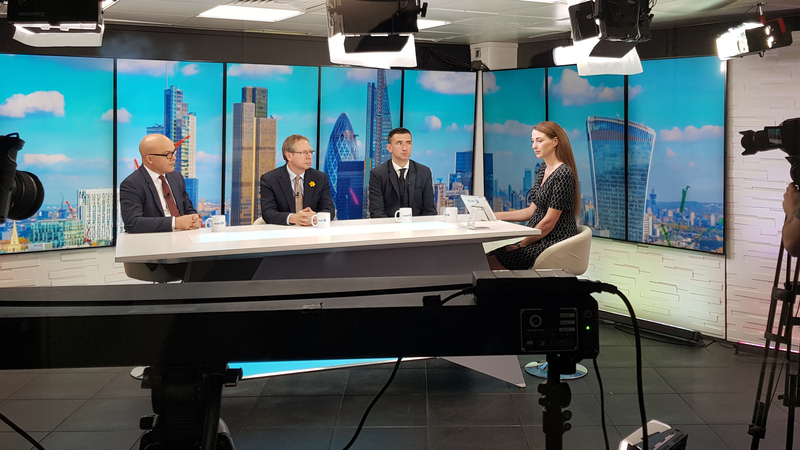 PRESENTER: DB transfers have soared as savers seek to take advantage of high transfer values and to move their nest eggs into defined contribution schemes in order to access them via pension freedom rules introduced in 2015. But now the FCA is cracking down saying they should be for the few not the many. So where does this leave advisers? In this Akademia session, I’ll be joined by Vince Smith-Hughes, Director of Specialist Business Support at Prudential. Now, there are three key learning outcomes: how do DB pension transfers stand today; the main changes set out by the FCA policy statement and consultation document; and risk advisers need to be aware of from when people move into SIPPs and personal pensions. But first we’ll start with the state of the nation when it comes to DB transfers. So let’s start with an overview of DB pensions, where are we at the moment? VINCE SMITH-HUGHES: Well I think, Jenny, it’s an evolving market. We’ve seen a lot of activity over the course of the last couple of years: high numbers of defined benefit DB transfers being made; lots of customers very interested in looking at their existing defined benefit schemes; and of course we’ve also seen the recent policy statement 18/6 and the consultation paper 18/7 both coming out now as well which will impact on advisers’ behaviour and how they give suitable advice on transfers. PRESENTER: And what do you think has been driving this uptake of transfers from DB to DC? VINCE SMITH-HUGHES: I think the market’s driven by two things, Jenny. I think first of all it’s driven by, we’re at a stage because of the economic climate because of the way gilt yields are, transfer values are quite high compared with historical values. So people are looking at the values of their defined benefit schemes and in some cases thinking well it’s more money than I’ve ever seen before. So clearly that’s going to have an interest in customers looking at moving their schemes. The second thing I think which is influencing it, running alongside the first one, is of course we’ve now got pension freedom. So not only are people looking at very high transfer values in some cases, they’re also looking at it and saying well I can potentially access all of that money from age 55, and those two things working together have been really driving the market. PRESENTER: Now, the FCA has had some concerns about how the market is operating. Talk me through these, why are these concerns there? VINCE SMITH-HUGHES: Well I think they’ve always had a concern with defined benefit transfers and quite rightly I think because it’s simply a one-off decision. It’s not something that can be reversed. Once you’ve come out of a defined benefit scheme, you’ve made that commitment. You can’t very easily go back into that scheme. So I think there’s always been a concern there. Perhaps more recently we’ve also seen concerns raised with the British Steel Scheme. And clearly there’s been a lot of transfers made out of that scheme and a lot of interest from those members in transferring out. There’s been a Work and Pensions Committee report on the British Steel Scheme transfers and I have to say some very strong language used in that report around some of the behaviour from some of the advisers who were involved. The FCA had also said that around a third of all the transfers that had come out of that scheme they regarded as unsuitable. So clearly there’s a broader concern, but there’s also one-off things like that British Steel situation which has really driven some additional concern. PRESENTER: And this potential harm that they’re concerned about, these suitability concerns, just give me some examples of what they’re talking about there, what sort of situations would that involve? VINCE SMITH-HUGHES: Well I think in the purest sense, clearly if you do a DB transfer, you are giving up your right to a guaranteed level of income. And I’m sadly old enough to be around at the last DB transfer problems. And one of the things that came out of that first review was people were giving up guaranteed income where they weren’t able to or they were reliant on that income in retirement, i.e. that was part of their core income. So clearly there is a concern there. Having said all of that, there are many advisers giving very good advice on DB transfers, and I’d go as far as to say the vast majority of advisers giving very good advice on defined benefit transfers, but clearly there are also one or two advisers where certainly things could have been better. PRESENTER: So looking at the market overall and these concerns they’re having, what sort of scale are we looking at, you know, these problems that we’re seeing happening, is that a large part of the market or quite small really? VINCE SMITH-HUGHES: I suspect it’s quite small. I mentioned the British Steel Scheme. There’s around a third of transfers that the FCA had regarded as unsuitable, I’m not sure that’s an indication of the broader picture, but I do believe it is only isolated incidents where we’re seeing advice not being up to scratch effectively. As I said the vast majority of advisers that I speak to, the vast majority of the customers perhaps who are looking at DB transfers, they’re getting some pretty good advice out there, but of course there are also a few bad apples. PRESENTER: Yes. So these headlines we’re seeing in some of the papers, like DB transfer is the next big misselling scandal, that was a title from the Work and Pensions Committee, do you think these are a little bit exaggerated then perhaps? VINCE SMITH-HUGHES: I would say it is exaggerated. And I think the thing that separates this situation from when, as I said, we had the misselling scandal before, was we now know so much more than we did then. And there are so many better tools to actually help advisers with these comparisons. You know, you’ve obviously got TVAS, we know that’s changing, but you’ve got a lot of retirement modeller type of tools, the FCA have given much more guidance in terms of what they’re expecting to see in suitability reports. So I think armed with that information we’re much better placed to give good advice to customers. PRESENTER: So, considering all of this, where do advisers stand now then? VINCE SMITH-HUGHES: I think advisers stand in the position that they pretty much have always done, but with much better help and guidance than they’ve had previously. So if you’re suitably qualified, then you’re able to give defined benefit transfer advice. One tip I would say to people is if they’ve got qualifications going back a few years, make sure your CPD is up to date so you’re totally up to date with all of the things going on with DB transfers. And I’m sure that’s why some people will listen to this today. So that’s the first thing. But also just double-check your advice process. We’ve seen the policy statement, we’ve seen the consultation document come out, we’ve seen other guidance from the FCA over the last couple of years, road test your advice process to make sure it’s absolutely suitable, bearing in mind all those things that the FCA have said. PRESENTER: Yes. So looking at the FCA policy statement and consultation document that was published recently, I mean what are the main points that have come out of it, the changes we should be looking at? VINCE SMITH-HUGHES: Well I think the first one is something that hasn’t changed. So in the original consultation it was proposed that they were going to change the starting assumption for transfers, which was and now still is because they haven’t changed their mind, that a transfer is unsuitable. So they were looking at tinkering with the wording, that’s not going to happen. So the starting assumption, it’s very important advisers recognise this, is that a transfer is unsuitable unless proven otherwise effectively, paraphrasing slightly. The second thing which has now changed and again is now in force is that the pension transfer specialist is going to need to be responsible for checking the whole advice process. Checking that each recommendation is suitable and ensuring they’ve actually gone back to the firm in writing to confirm that’s the case. So in other words they’re looking at a whole overview of the advice process. The third thing, which has had a very quick impact I think on the market, is providers basically are not able to offer a free TVAS service now to any advisers because it’s regarded by the FCA as an inducement. So ourselves, Prudential, as well as many other providers have withdrawn their free TVAS service. PRESENTER: But the changes we’re speaking about, when are they, the changes we’re seeing happening, are they into effect now or are they things we’re looking at in the future or? VINCE SMITH-HUGHES: So those changes are already in place, so they’ve come in from the 1st of April. What we do know is that the APTA - the Appropriate Pension Transfer Analysis - is coming in from the 1st of October, and that’s going to bring with it many more changes, so a lot of things that advisers will need to do. Now, in fairness, Jenny, the one thing I would say is many advisers are already doing some of this; in fact I would say it’s best practice to do some of this. So, for example, looking at things like tax and the access to state benefits, that’s one of the things. Looking at trade-offs and a typical trade-off is guaranteed income on the defined benefit side versus death benefits. But there’ll certainly be other examples as well, but those will need to be considered. The safety nets are always very important. So we’re talking here about the Pension Protection Fund, we’re talking about the Financial Services Compensation Scheme need to be considered, need to consider scheme funding and the employer covenant, and also need to consider longevity. And as I said many advisers would already be doing a lot of those things. PRESENTER: And looking at the Transfer Value Comparator, where does this fit in? VINCE SMITH-HUGHES: Well this fits in as part of the APTA, which is coming in from the 1st of October, Jenny, and I think the first thing to say is this is probably the one main thing in the APTA that advisers can’t adopt yet because the software’s not there to do it. But the whole purpose of the Transfer Value Comparator is to give clients an idea of the true value of their pension scheme. So I mentioned earlier that clients will look at the value of their scheme and might say well I’ve got a value of £500,000, it’s more money than I’ve ever seen before in the world, it’s a real indicator for clients that they really would like to take it and be able to access it. The idea of the TVC is that they’ll actually realise that by considering the value of the scheme as a lump sum, which is the way it’ll need to be shown that the value of the scheme is exceptionally high in its own right, and by having a lump sum value, they’ll be able to compare that with the cash equivalent transfer value and make a decision as to, not just on that solely, but that will help them make a decision as to whether it’s the right thing to transfer or not. Now, I’ve got to say my initial assessment of looking at how the TVC is calculated, so it’s going to be based on gilt yields, there’s going to be an allowance for an annuity charge, there’s going to be an allowance for a product charge, I suspect that in many cases we’ll see the value of the TVC lump sum greater than the cash equivalent transfer value. So that may have an impact on both clients and advisers saying well, you know, considering the value of the scheme, I’ll leave it where it is. And that actually has highlighted to me the true value of it. So it’ll be interesting to see how that plays into the market. I suspect that it will have an influence on people’s behaviour. Particularly clients, advisers understand these things, but particularly clients because it will help them to understand the true value of the scheme. PRESENTER: So then perhaps do you think we might see less transfers moving forwards following this October deadline? VINCE SMITH-HUGHES: I think we may well see that having an impact and yes the end result of that may be there’ll be less clients who are transferring. PRESENTER: Yes. So what do advisers then need to know, need to be doing what they’re not doing at the moment? VINCE SMITH-HUGHES: Well I think certainly double-check your process that actually all of those things are actually in your suitability letters now because clearly the FCA think that’s best practice. And many advisers I speak to who are operating in this market are already doing many of those things. The thing that’s come up which is obviously very new is the Transfer Value Comparator. So this is a whole new comparison, which again comes in as part of the APTA which is coming in on the 1st of October. PRESENTER: Contingent charging is a big issue, so what are the changes and how best to approach these? VINCE SMITH-HUGHES: Well I think with contingent charging, it was in the consultation document, they’re effectively inviting views from people as to whether that influences people to transfer, what alternatives there are, you know, could they incorporate perhaps something involving TPAS as part of that process. From my perspective, so nothing’s really changed yet, it’s part of the consultation, but from my perspective it’s a really difficult issue to address. And I’ll tell you for why, Jenny. I think that first of all contingent charging, the issue the FCA have in mind is that there’s a potential for bias either perhaps consciously or unconsciously in the adviser’s mind when they look at it, so it could influence a transfer to be made which otherwise shouldn’t be. I think that can be addressed. And it’s difficult for smaller firms, but certainly larger firms can address that by saying well what we’ll do is we’ll isolate the pension transfer specialist to make the decision outside of any gain to themselves, so in other words they’ll look at it in isolation, they will give advice, but based simply on whether it’s right or wrong to do it and they have no financial gain in it and there’s no impact on them. So I think that really helps to eliminate the bias. Obviously you need some safeguards in place to make that happen. The other point which I think is important with the contingent charging is it’s easy to say well it influences advisers to make transfers when they shouldn’t, and that’s possibly true. But also if you do away with the contingent charging, and the FCA are very cognisant of this by the way in the consultation document, is it might be the case that if you do away with it, you actually do away with access to advice on defined benefit transfers. And of course if that happens that’s not a good thing for the consumer either because there is a real demand, as we know, for advice on defined benefit transfers. So we need to be aware of that as well. The consultation finishes on the 25th of May. I’d strongly advise people who are interested in the subject, and there’ll be many people across the profession who are, to actually make sure they input into the consultation. 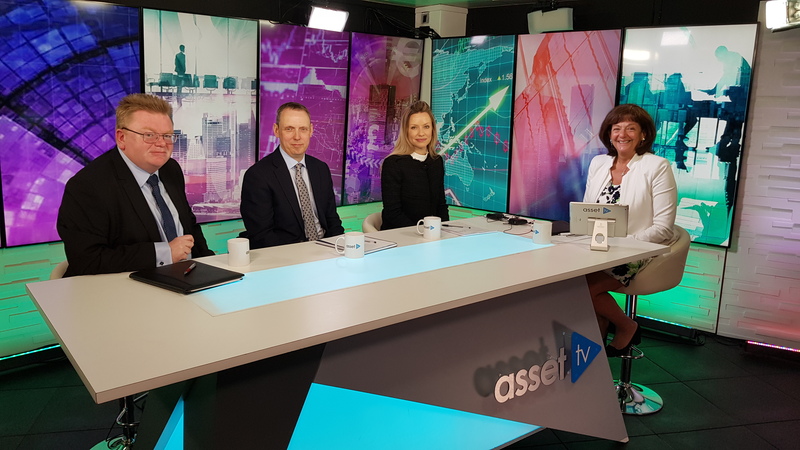 PRESENTER: So then when it comes to fees for advisers, what happens if a client then partway through a transfer decides not to go through with it in the end? VINCE SMITH-HUGHES: Well of course if you’ve got a contingent charging model that may be a risk that the adviser has actually taken if they’ve not expressed that in their fee agreement with the client. Of course there are many different models. It’s not for me to say which is right for one and right for the other. I do have a feeling that contingency charging actually can work for the sort of reasons I talked about. But equally it makes perfect sense for a lot of advisers that are able to do it to actually say well we are going to charge for the suitability report in isolation, and then of course they may charge an additional fee for implementing that suitability report i.e. going ahead with the transfer value and of course part of that will also be the ongoing management of the fund. So there are many different models. It’s really what works for the advisers, what works for the client. PRESENTER: Well one thing that I hear questioned a lot is if a client comes to an adviser for advice and they’ve got a month left or less than a month left on a short transfer value deadline. What would you say is the appropriate course of action in this scenario? Is it the kind of thing that they should rush through their advice or their analysis, or maybe turn the client away because they don’t have enough time, what would you suggest? VINCE SMITH-HUGHES: My personal view would be that I don’t think that’s enough time to actually do the analysis, provide the advice, check that the client’s got understanding with it. You know, there’s different circumstances where clearly some advisers may feel they can do that and if the client’s very on board it’s possible it could happen. But I guess I come back to, and I think you made the point in your question really, don’t rush into something. Just because there’s a deadline, just because you’ve only got a few weeks left, doesn’t make it the right decision to transfer. I would suggest actually take stock, don’t rush into anything. This is an absolutely major decision. We’re talking here about something which could be, along with someone’s house, their biggest asset, and making a decision within the space of a week or two just because you’ve got a deadline really is not the right thing to do. PRESENTER: No, absolutely. So this brings me on to the question of whether advisers should be challenging why clients are wanting to transfer, is this something that they should be asking the question about? VINCE SMITH-HUGHES: Yes definitely because I think a lot of people on face value will look at it, and let’s say someone’s got a half a million pounds transfer value, for a lot of people that would be as much money as they will ever see in their life, and it’s understandable they think well I could have access to all those funds from age 55 if I transfer. But I always come back to my sort of core question which is will you need income from this scheme in whatever format to actually pay the bills, put food on the table? Because if the answer is yes, then very often the answer is it’s not right to transfer. Despite that big number, despite the fact you’ve got access to it, you really do need to think about what it actually means for yourself transferring out and losing that guarantee. And that’s one of the reasons that the FCA of course as part of the APTA have introduced the Transfer Value Comparator. PRESENTER: So what’s your advice then on how to manage clients through a transfer? VINCE SMITH-HUGHES: Well I think there are a number of things. So I think the first thing is to say absolutely you must state the client’s objectives within a suitability letter. Secondly, you clearly need to state the advantages of transferring. Perhaps most importantly of all you need to state the disadvantages of actually transferring. And just a couple of other things that I think are probably worth throwing in, if clients are suggesting well I’d like to access some of these funds for perhaps short-term funding, pay a mortgage off, have a new kitchen, buy a new car, have a look at any alternatives that exist with them in their overall holistic plan, so in other words have they got any other funds which could be used to actually pay for those type of things, I think that’s absolutely critical. And come back again is it part of a client’s core income? That really needs to be considered. PRESENTER: So can you talk me through some maybe example scenarios just to make that a little bit? VINCE SMITH-HUGHES: A very easy scenario first of all where we’ve got someone who - and an adviser has talked to me about this very case recently - someone who is in poor health. They’re in a defined benefit scheme. They’re looking to maximise their death benefits. In those circumstances it might very well be right to transfer. Now, first of all, we need to think about some of the IHT consideration because there could be some if the client is in poor health and they transfer, but it’s very likely in that sort of situation if the client is in poor health, they have got reduced life expectancy, that taking everything else into account it could be the right thing to actually transfer. Going to the other extreme, if someone has actually got a defined benefit scheme and it’s all the money they’ve got in the entire world, and they’re absolutely reliant on that income in retirement and their spouse is reliant on that income in retirement and they can’t afford to take any risk, then it’s very likely not to be the right thing to transfer. So two extreme examples but certainly I think some things that advisers can think about. PRESENTER: So, looking at the triage process, this was mentioned in the consultation, is there anything to be aware of there? VINCE SMITH-HUGHES: Yes, there is. There’s a couple of points which I think advisers need to be very careful about. It made the point with the triage process that a lot of advisers are effectively or could effectively be giving advice by triaging people out of the service. So in other words they’ve got a triage service, they’re looking at whether it’s right to consider a transfer, they’ve triaged people out, but they could well be straying into advice by doing that. And what the FCA seem to be saying is actually the provision of information is absolutely fine, but as soon as you start getting into we don’t think you should go ahead because of this, this and this reason that then starts to become advice. So advisers need to be very careful about that, that they’re not straying into advice and documenting it appropriately. If they are giving advice, that’s fine, but they need to document we don’t think it’s the right thing to do to transfer for all the reasons we know, and should produce a suitability report as such, but they need to be careful they’re not straying into triaging people out and giving advice by default. PRESENTER: Yes OK. Now, so looking at when people move into SIPPs, what sort of risk should advisers be aware of? VINCE SMITH-HUGHES: Well I think it’s a really interesting one because, you know, there’s two decisions really isn’t there. There’s the decision to transfer, and clearly that’s linked to where am I going to invest in when I’m in a SIPP or a personal pension? But I think there are a number of things that need to be covered off at the point of giving advice on the defined benefit scheme. So things like for example what might the performance of the funds be based upon someone’s attitude to risk and capacity for loss, you know, that will need to be taken into account. And as we know and as I said earlier the pension transfer specialist will need to look at all of these things in total rather than just like the numerical data for example. You’ll need to look at the things that, the risk of running out of money. And, you know, that’s a real risk for people, particularly with increased longevity. That’s something that needs to be taken account of. And I guess assessed against the overall holistic plan of the client; in other words, have they got other income sources which could make it up. You’ve got things like taking too much income, absolutely a categorical risk, and a wider one on pension freedoms, not just in defined benefit transfers. And actually I’m slightly reassured, in fairness, looking at pension freedoms generally in the sense that most people are now taking a more sustainable level of income. We saw a rush when pension freedoms first come in where people were taking large amounts of their funds or even all of their funds, that’s really quietened down now and people seem to be taking a more sustainable level of income. So I think that’s a real positive. And then sort of lastly, I guess, it’s not just about what sort of returns that clients can expect; it’s how those returns are going to be made up. And what I mean by that is, and the FCA have talked about this a fair bit, which is the sequencing of return risk. So in other words someone moves into a drawdown, let’s say from a defined benefit transfer, they take an income. But the difficult thing is, let’s say we have a correction in the markets fairly near the start of that drawdown process, are they going to be able to recover that loss? Because by taking income they’re effectively crystallising their loss, and actually for many clients they may look at their attitude to risk or they may look at their fund choice and say yeah that’s appropriate, but as soon as they actually see their fund value dropping and it being further exacerbated by income being taken and crystallising that loss, they may not be happy about that situation. So the sequencing of return risk is something that really needs to be thought about by advisers, and there are a few alternatives in terms of what advisers can do to think about that. PRESENTER: Yes, but who are these best for and give me an example of who a perfect person this would be best for would be? VINCE SMITH-HUGHES: What in terms of something like income drawdown or? VINCE SMITH-HUGHES: It would be someone who is prepared to take a level of risk. Somebody who can afford to do something should the markets and the funds go against them. So there’s a number of strategies that advisers can adopt for example. They could look at, for example, taking the natural income. They could look at adjusting their income strategy if the funds underperform. They can look at things like smooth funds, which can help to iron out the day-to-day volatility in the market. So all of those are strategies that advisers can use, but the fundamental point is if you’re going into drawdown and you’re taking that or the fund is created from a defined benefit transfer, you’re probably going to be taking some level of risk to do that. So it’s people who are prepared to do that and have resources that are able to meet those requirements. PRESENTER: So when advisers move out of DB schemes, talk me through what they need to do. VINCE SMITH-HUGHES: So what they need to do is first of all really analyse in detail what the client’s current position is. And not just their position with the defined benefit scheme, but holistically across their entire wealth position, the entire financial plan. Analyse how the recommendation is going to meet those clients’ objectives, I think that’s really important, and as I said earlier perhaps even more importantly where the disadvantages are in transferring. And, for example, if you’re moving from a defined benefit scheme to drawdown maybe some examples of well if we see the markets fall or your fund value falls in the early years, are you going to be happy with that position? You know, really make it crystal clear to the client the level of risk that is actually being taken. Have a look at the whole entire process, make sure that it’s absolutely in line with all of the recent FCA guidance, and particularly if you’re willing to accept insistent clients, you know, there was some additional guidance that came out last year, just make sure that again you’re fitting in with the FCA process to deal with those insistent clients. PRESENTER: Yes OK. So are there any maybe obvious mistakes that advisers are making or obvious things they should really be looking out for then? VINCE SMITH-HUGHES: I think the first one is already covered, but the pension transfer specialist looking at the whole situation of the client. I think that’s one that is now embedded in the regulations. So that’s an obvious one. The second one is if clients are looking to utilise the pension fund for a particular purpose, so something like paying off a loan, perhaps they want to help their children with education, perhaps they want to help their grandchildren with education, all of those things are things that actually can be met potentially elsewhere if they have other savings. And it may be right to take it out of the pension, but equally it may not be. So for example say they’ve got cash ISAs, has it been considered taking those funds from the cash ISAs rather than taking it out of the pension fund? And just to take that a stage further, leaving money in a pension scheme, let’s say someone has transferred out of a DB scheme but is perhaps in a pension drawdown arrangement, leaving it in that drawdown agreement may very well be the best place to leave it if they want to pass a legacy on to their children. So it’s a good example of saying well perhaps the money is best left there rather than taking it out from elsewhere. And many advisers now tell me that actually the pensions are quite far down the pecking order in terms of paying an income to a client because it is so attractive to leave it in a pension because of that legacy planning reason. PRESENTER: Yes. So, moving forwards, any other changes or anything else that’s on the horizon that we should be aware of? VINCE SMITH-HUGHES: Well I think the first thing is the consultation which will cover things like contingency charging. Keep a really careful eye on that, respond to the consultation document. It’s due to run until the 25th of May so I would expect to see it maybe late summer in terms of what comes out of it. Try and make sure if you are adopting a contingency charging model that you are covering that issue around bias. I think that’s a really important thing to try and do. The second thing - and it’s coming in as part of the APTA, so this comes in from the 1st of October - is the Transfer Value Comparator. So this is something which is effectively becoming part of APTA, which is replacing the TVAS, and it’s a very different way of comparing transferring out of a DB scheme as opposed to staying there. So what it will effectively do is it will show a lump sum comparison which will enable an adviser and a client to compare that against the cash equivalent transfer value. So they’ll be able to say well the TVC is x amount, the CETV is y amount, does it represent good value for money? Now, I’ve got to say, looking at the policy statement that TVC, the Transfer Value Comparator, is going to be based upon gilt yields, with an allowance for an annuity charge and an allowance for a policy charge. My working assumption is that quite often that TVC number will look attractive relative to the CETV, which might influence people to actually stay in the scheme because it will perhaps make them realise the real value of their defined benefit scheme in a lump sum. In a similar sort of way to we were talking about earlier when people look at the value of their CETV and say well it’s more money than they’ve ever seen, they’ll realise the real value of their pension scheme expressed as a lump sum without actually needing to move it, if you know what I mean. PRESENTER: Yes and are there any other external factors that could impact this DB transfer market that’s on your radar? VINCE SMITH-HUGHES: Well I don’t think you can ever underestimate future regulation that is going to come in to bear and I think the FCA are keeping a real watching brief on this particular market. I think the other thing that of course is the big unknown is we don’t know what’s actually going to happen to financial markets. So if we see a lot of people transfer, many IFAs are going to have documented it absolutely that what the client’s attitude to risk is, what their capacity for loss is, that doesn’t mean to say the clients will be happy if they start to see their values falling. So, again, just a tip for advisers, make sure that’s absolutely crystal clear when they actually move. But the markets could have a significant influence and as we sit here today we’re already seeing lots of things that could really have an impact on markets that perhaps we weren’t predicting even a month or two ago. The other thing which might have a big impact on the market, Jenny, is of course PI insurance. With so many transfers having been done over the course of the last 18 months, two years, many PI insurers are reviewing their decisions as to whether they’ll offer this particular cover and its potential that some of them may stop cover for some advisers. There’s also potential of course that the actual price of the PI cover might go up. So that again may have a real influence on the market. PRESENTER: So then to summarise what would you say are your top tips then? VINCE SMITH-HUGHES: My top tips, OK, make sure you’re refreshing your advice process, particularly in line with the policy statement and bearing in mind the actual consultation document and things like contingency charging if that’s something you’re involved in. Make sure you’re adopting obviously from now the things that the policy statement said you should be doing. Absolutely the pension transfer specialist should be looking at the advice in its entirety. But also have a look at the things that are going to be in the APTA and just make sure that your current process is picking those up. Many advisers will already be doing it, but all of that sounds like common sense and good practice to me so why not adopt it now. The one thing you can’t do of course is adopt the TVC because the software isn’t out there to do it, but of course we will see that coming in before the 1st of October. So I think those things will stand you in good stead. But also have a look back at things like the insistent client information the FCA have talked about. I think that’s going to be important for many advisers. Just make sure that if a client’s critical income is dependent upon this scheme, if you are moving it you’re giving some very good reasons for doing so. In my opinion, if the income is absolutely critical to the client and they can’t afford to take any loss, probably an indicator they should be staying put, in fairness. Make sure if they’re looking at short-term income needs, they are covering that off in terms of any other alternatives: could they take the funds from elsewhere? That’s always a possibility I think that advisers need to be considering that. And just make sure again that all of those things are embedded in the current process, and perhaps also maybe get a third party to actually check the process to make sure that nothing’s been missed, so perhaps an external compliance consultant, make sure your advice process is absolutely watertight. And I’ve got to say we’ve got a lot of information from the FCA now so just make sure it’s all in line with that guidance. PRESENTER: So Vince then what would be your final thoughts that viewers can really take away from this session? VINCE SMITH-HUGHES: I think final thoughts are there’s a lot of really good advice being given. The majority of advice out there I believe is appropriate and really helping clients to understand whether it’s right or wrong to transfer out of a scheme. I think the other thing which people need to think about is have a look at all of the information we’ve now got. You’ve got lots of guidance from the FCA. There’s also a lot of guidance from people like the Personal Finance Society. There’s a lot of guidance on things like the PruAdviser website, really analysing all of the things we’ve seen over the last few years, so really make sure you’re up to speed with all of those things. It helps in two things: help from a practical perspective because of course you need to be up to date with it and make sure your advice process is suitable; and secondly, of course, it also helps in terms of CPD just to make sure you’ve got the up to date CPD to give advice in this really crucial area. PRESENTER: OK. So where else can we go then for additional information? VINCE SMITH-HUGHES: Lots of really good sources. So first of all, of course, you’ve got the FCA website with those policy statements and the consultation document on. Well worth having a read of those. We’ve provided a summary and also done a WebEx of all of the things that’s included within them. That of course is on our PruAdviser website. So feel free to go and peruse that. There’s also other areas where they’re more specific, which I think can also be of real help. So for example the Personal Finance Society have done a really good guide on insistent clients, which I think is highly relevant to this particular topic area. That’s also worth going to check out. And of course other areas that clients can access to get information is things like the Pensions Advisory Service, and I think that’s also really important, and I guess one final thought in terms of gathering other information, which I think is really important for clients to understand, is just around the whole issue of the potential for scamming. You’ll find information on that across the board on things like the TPAS website, you’ll find it on The Pensions Regulator website, but one of the unfortunate side effects of the whole thing with pension freedoms, which I’m firmly in favour of, but one of the unfortunate side effects is we have got an awful lot of scams still taking place, and I think it’s really important that clients understand the warning signs for those scams. PRESENTER: Yes and just talk me through a little bit about these scams, give me an example of what sort of things you’re talking about. VINCE SMITH-HUGHES: Well, they take many different forms, but for example if you see anything which looks like guaranteed return promise of unbelievable levels of return, you know, double figures, double digit, that’s pretty much always going to be a scam. I think most people would know that, but not immediately obvious to clients. The second thing is if you’re getting unprompted communications, that might be text messages, it might be phone calls, it might be emails, you know, offering, again, fantastic returns in esoteric investments be extremely cautious, again it could very well be a scam. Advisers will of course understand this, but it’s making sure that their clients know to look out for the warning signs. We all talk about it a lot but some of these are very convincing. They’ve got the websites and the literature, which looks to customers as if it’s a very convincing offer. And only recently I spoke to an adviser who had a client ring him up and said oh I thought I’d just check, I’ve got someone coming around, a courier coming around on a bike to sign some documents to transfer my pension into this unbelievable deal, oh I thought I’d just check if that’s OK. And fortunately the adviser managed to stop him from signing the documents, but it was a really close call. PRESENTER: Super. Vince, thank you. PRESENTER: In order to consider the viewing of this video as structured learning you must complete the reflective statement to demonstrate what you’ve learnt and its relevance to you. By the end of this Akademia session you’ll be able to understand and describe how DB pension transfers stand today; the main changes set out by the FCA policy statement and consultation document; and risk advisers need to be aware of from when people move into SIPPs and personal pensions. Please complete the reflective statement to validate your CPD.